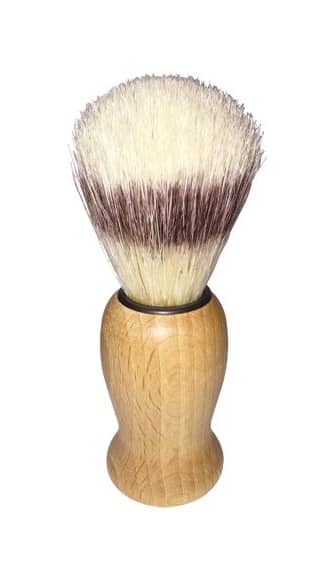 Great shaving brush made from waxed beech wood and natural bristles. All of our brushes are hand crafted by Redecker, a German family owned business that place sustainability and good craftsmanship at the heart of what they do. The Hackney Draper in London, United Kingdom.